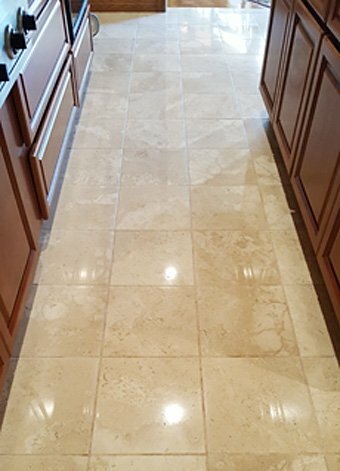 Marble Specialist offers the highest quality natural stone cleaning and restoration services in Orange County. We are a locally owned, licensed and insured contractor that specializes in maintaining, cleaning, repairing, polishing, and sealing granite, travertine, limestone, Terrazzo, slate, and marble surfaces. By using the industry's leading tools, techniques, and chemicals, we're able to effectively revive the look of dull and dirty stone floors, countertops, stairs, backsplashes, showers, sinks, and walls. Additionally, we can repair and remove scratches, cracks, stains, etchings, and lippage. 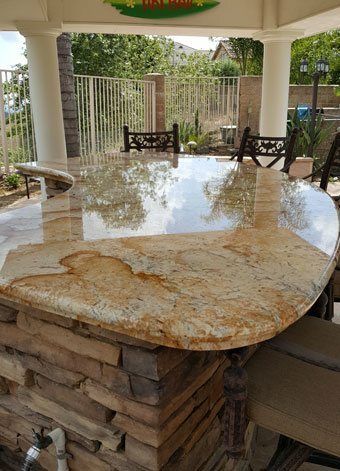 All of our work is performed by a stone restoration expert who has nearly two decades of experience and receives ongoing training from major distributors on the leading practices for stone polishing, cleaning, scratch repair, and sealing. Because of our extensive knowledge and skill, you can trust that we will always use the best methods to safely and effectively restore the look and condition of your stone countertops, floors, and walls. By providing exceptional results at a fair price, we have earned hundreds of satisfied residential and commercial customers since 2000 and receive the majority of our business from our loyal clientele and their referrals. We welcome natural stone cleaning and restoration jobs of all sizes throughout the Orange County area. To get started, we'll arrange a free on-site consultation to assess the condition of your stonework, and check for damage and unevenness. Based upon the results you want to achieve, we'll provide a personalized quote. 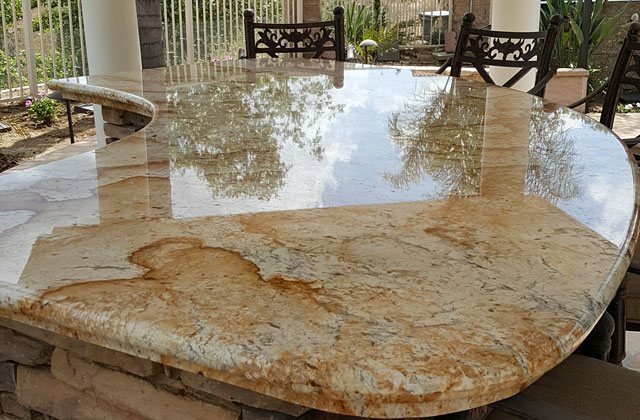 If there are scratches, stains, etchings, lippage, or other damage, often caused by water, wine, juice, urine, and foot traffic, we can remove by grinding the top layer of the stone's surface. Cracks, holes, and fine lines can be filled with an epoxy glue in a matching color. Following any required stone repairs, we deep clean the stone and any associated grout or metal. We'll also polish the stone to create a glossy finish or hone it for a smooth, matte finish. Finally, we apply a sealer to protect the stone's surface. The sealer can be used to enhance the color or create a “wet” or high shine look. 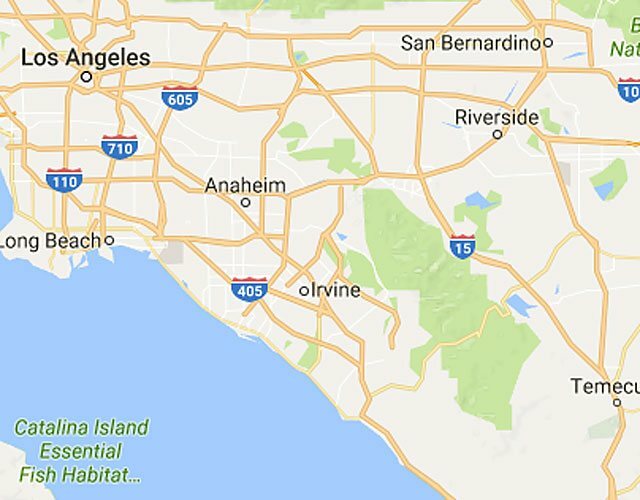 Call family owned and operated Marble Specialist today to schedule a free on-site consultation for natural stone cleaning, repair, and restoration in Newport Beach, Newport Coast, Chino Hills, Laguna Niguel, Laguna Beach, Anaheim Hills, Trabuco Canyon, and surrounding cities throughout Orange County. We work seven days a week and do our best to accommodate your schedule. 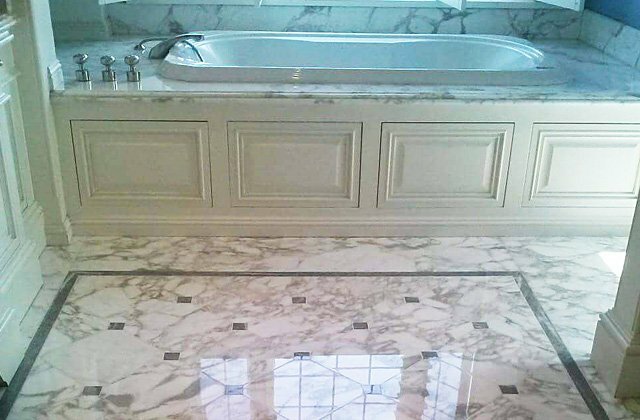 The work of Marble Specialist is beautiful and professionally done. 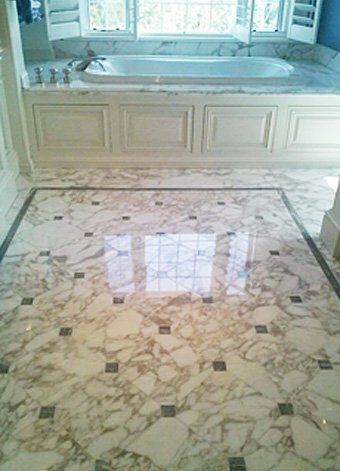 We were very impressed with how they cleaned and sealed our marble bathrooms and our limestone flooring. We highly recommend them. Great, happy with work done, that I deceided to do it every year instead every other year . I don't normally highly recommend someone but this company I do. We cleaned and revived these dull and dirty marble countertops in Laguna Beach using the industry's preferred marble restoration techniques. We first ground the stone, then polished it, and finally applied a color enhancing sealer.